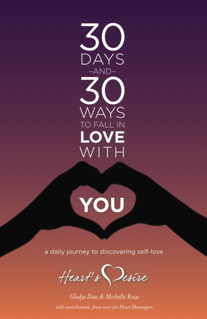 30 DAYS & 30 WAYS to Fall in Love with You! 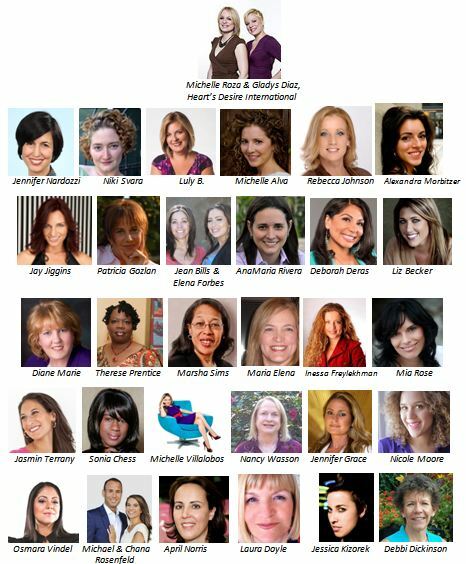 The ebook 30 Days and 30 Ways to Fall in Love with You: a Daily Journey to Self-Love is a beautiful and collaborative masterpiece put together by a group of incredible Heart Messengers – experts in their industries and amazing individuals who are committed to transforming this world one person at a time. On this journey, you will deal with and learn how to move past your fears, remove obstacles that stand in your way, let go of the past, give and receive forgiveness, bring acceptance to your body, step out in faith, and fill your life with love, beauty, faith, and gratitude. In the course of participating on this journey, you will discover your unique gifts and talents, dreams, and self-confidence. And, at the end of this 30-day journey, you will come to know yourself as you never have before and be ready to continue on this lifelong path of self-discovery and self-love. We invite you now to join us and take the first step on your 30-day journey to discovering the love that is already waiting inside of you. Founder of Luly B. Inc. & Mompreneur Extraordinaire, Luly B.